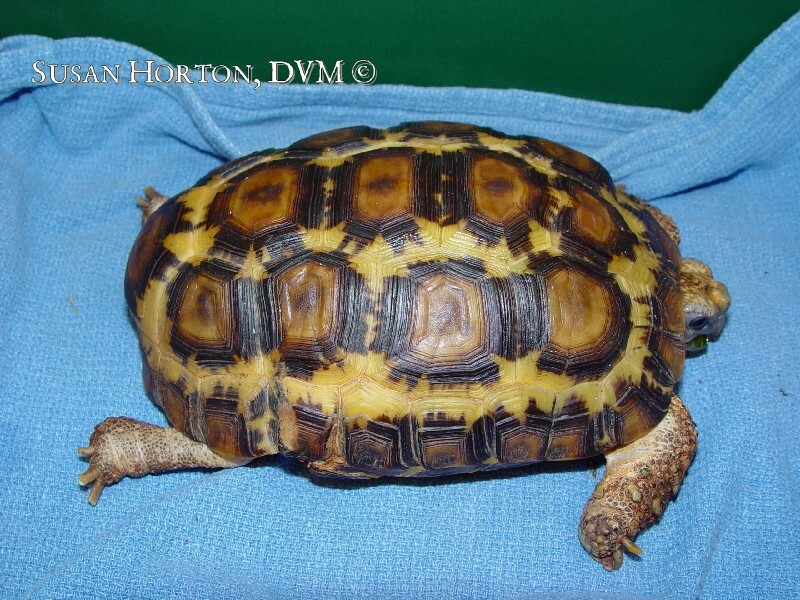 Bell's hingeback tortoise, Kinixys bellina, is one of the most common tortoise species seen in the pet trade. Unfortunately, the vast majority of specimens offered for sale are imported, wild-caught animals that have proven difficult to establish in captivity. It is a moderately large African tortoise, with adults measuring up to 22 cm and weighing up to 2 kg. Adult males specimens have a much longer tail than females. The preferred habitat of Bell's hingeback is savanna and grassland. As these areas may exhibit strong seasonal changes in precipitation and temperatures, the activity of the tortoises may be restricted to particular times of the year. In South Africa , for example, Bell's hingeback may become inactive during the cool winter months of May through September. Such seasonal patterns are likely important for successful captive breeding of the species. After acquisition, hingbacks may take weeks or months to become established. It is best to house newly acquired hingebacks individually. Initial housing should be a simple, quarantine enclosure so that feces, urine, and food intake can be closely monitored and to allow easy cleaning and disinfection. Glass aquarium tanks or plastic containers work well, and should be at least four times as long and twice as wide as the length of the tortoise. A simple substrate of newspaper or paper towels allows easy monitoring and easy cleaning. A hide box must be provided as most hingebacks are initially quite reclusive and appear to fare poorly if constantly exposed. Temperatures should range from 29-32 degrees C ( 85-90 degrees F) during the day to 23-26 degrees C (75-80 F) at night. Heat is best provided by overhead incandescent lights, but may be supplemented with ceramic heating elements or under tank heating pads. In this author’s opinion, heat rocks are of no use in tortoise husbandry. Some Bell's hingebacks will bask under heat lights, while others appear to dislike bright light. The role of ultraviolet lighting in tortoise husbandry is controversial, but fluorescent lights that provide UVB light may be of benefit. Bell's hingebacks seem most active and have fewer eye and respiratory problems if kept at 60-90% humidity. Humidity may be maintained by misting several times daily, or covering the majority of the enclosure with plastic sheeting, leaving openings for the heat lights and ventilation. The natural diet of Bell's hingeback includes both plant and animal matter such as fallen fruits, grasses, snails, insects, and other invertebrates. New captives kept by the author have often accepted strawberries, cantaloupe, and earthworms as their first food items. It may take several weeks for a new arrival to begin eating regularly. If poor appetite persists, medical attention may be needed. When first offering food, it is best to observe from a distance, as many hingebacks will retreat if the human observer is noticed. Alternatively, the tortoise may be fed in its hidebox. Fresh water should be provided at all times in a shallow bowl that is large enough for the tortoise to fit its entire length. Hingebacks often drink large amounts of water. Once the tortoise is accepting one or two food items regularly, it should be gradually converted to a more balanced diet. By thoroughly mixing new foods with previously accepted items, even stubborn specimens can be converted. A complete diet for Bell's hingebacks should include high calcium, green leafy vegetables such as dandelion, clover, escarole, chicory, kale, etc; a fiber source such as fresh grass clippings (avoiding pesticides), alfalfa, or timothy hay; a variety of fruits and vegetables; and animal protein sources such as earthworms, pinkie mice, or a high fiber dog food. 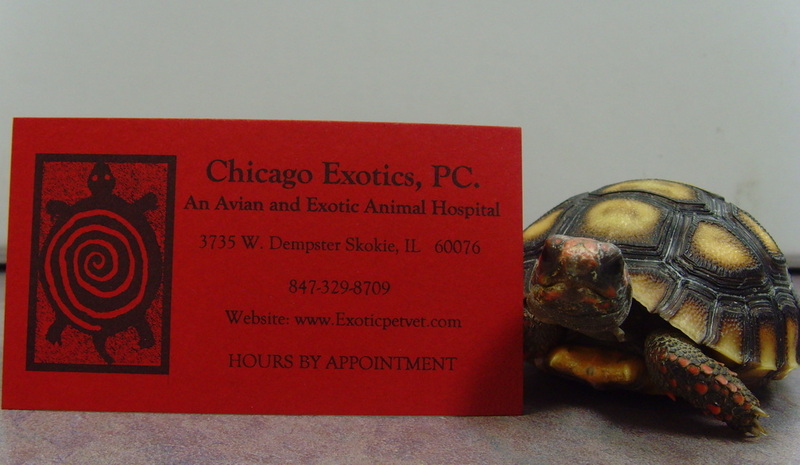 Commercial tortoise diets may also be offered in moderation. A varied diet is essential to avoid nutritional deficiencies. A powdered calcium supplement may be added to the food several times weekly and a multivitamin supplement may be added to the food once weekly. Once established on a good diet, and free of parasites, Bell's hingebacks may be set up in a more natural environment. If kept in groups, sufficient area and multiple hid boxes must be provided for individual tortoises to retreat from each other. Bark mulch may provide a visually appealing substrate, and the tortoises seem to enjoy burrowing. It must be changed weekly. Take care that feeding stations are designed to prevent accidental ingestion of mulch. Alternatively, and preferentially, outdoor enclosures may be used if climate permits. They must be designed appropriately as Bell's hingebacks can be excellent climbers and burrowers. When kept outdoors, this author has observed that Bell's hingebacks are most active at dawn and dusk, retreating to shady areas during most of the day. The only mid-day activity observed has been during and after rain showers. Bell's hingebacks are often heavily parasitized. As such, thorough evaluation of feces by a veterinarian is essential. A deparasitizing program should be established, and hingebacks often need prolonged and repeated treatments to completely eradicate parasites. For very ill animals, more extensive testing and treatment may be recommended. Animals that have stopped eating, have nasal discharge, weight loss, diarrhea, vomiting, or swollen eyes or limbs should be brought to the veterinarian.